Individual plot fees are $50 per year, which includes a general membership, as well as the right to water, cultivate and harvest an individual plot. Partial fee waivers are available in cases of financial hardship. Individuals and families for whom the full plot fee would be a hardship may request a waiver between $10-$30 per plot. See the application form on this site. Sponsorships are also available to help develop the common areas of the garden, and to provide scholarships for gardeners. 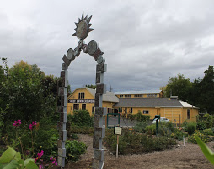 Tax-deductible contributions can be made to the Rees & Sumach Community Garden by sending a check for this purpose to sponsor Walla Walla 2020, a 501(c)(3) charitable organization, PO Box 1222, Walla Walla WA 99362, marked Rees & Sumach Community Garden. Please see the sponsor form below. For more information on membership and sponsorship, please rees.sumach@charter.net or call 522-0399. _____ Enclosed is a Sponsor donation of $ __________. Please make checks to Rees & Sumach Community Garden and send to PO Box 1222, Walla Walla WA 99362. For tax deductible donations, please make checks to Walla Walla 2020, marked Rees & Sumach Garden Fund, and send to PO Box 1222, W.W.